Women’s swimming and diving set school records in multiple events at the NCAA Championships in Columbus. The Cardinals secured fifth overall in the finals with 232 points for the best finish in program history. Sophomore Lainey Visscher, junior Mallory Comerford, sophomores Avery Braunecker and Casey Fanz recorded a fifth place finish in 1:27.19, the program’s best NCAA finish in 200 free relay history. Comerford, Visscher, freshman Arina Openysheva and Fanz combined for a school record-breaking time of 3:10.53. With the final standings coming down to the last event, the team touched the wall in fourth place to secure Louisville’s fifth overall finish. Junior Alina Kendzior, freshman Mariia Astashkina, sophomore Grace Oglesby and Comerford took Louisville’s top finish during the second night of competition. The group secured fourth place with a school record-breaking time of 3:26.93. Rachael Bradford-Feldman broke the previous school record by one hundredth of a second with 1:55.67. The junior finished 13th overall, earning Honorable Mention All-American honors. After tying for gold at last year’s NCAA championships, Comerford dominated the back-half of the 200 free to win the NCAA title with a time of 1:39.80. The Michigan native broke her own ACC record, U of L record and recorded the second fastest time in history. She also became the second woman to ever break a 1:40 time in the event. Comerford followed her title with a silver medal performance in the 100 free. The junior broke her own ACC record in 46.20, becoming the second fastest performer of all time in the event. The team of Kendzior, Astashkina, Oglesby and Visscher took fifth with a time of 1.35.70. The top three finishers in the event beat U of L with the three fastest times in history. Visscher touched third in the B final with a time of 22.14, garnering Honorable Mention All-American recognition. Oglesby finished seventh overall with a time of 51.25 in the first NCAA individual A final of her career. 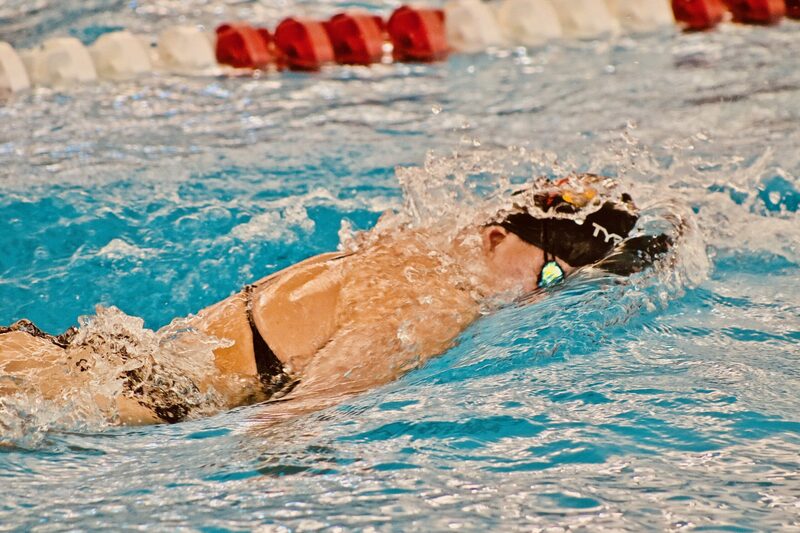 Astashkina posted a 10th place finish with a time of 59.29, the fastest every swum by a U of L freshman. Kendzior touched seventh in the B final with a time of 52.16. Oglesby took seventh in her second individual A final of the weekend with a time of 1:53.46. Astashkina completed her championship debut with a 12th place finish. Her time of 2:08.11 is the third fastest time in Louisville history. Sophie Cattermole raced to a time of 4:39.06 and placed 12th overall. The junior earned Honorable Mention All-American honors. Cattermole closed out her performance in the NCAA Championships by placing 19th overall with a time of 16:05.80.